Committed to relieving your pain, improving your health, and bringing balance to your life. Doctors of Chiropractic are primary care practitioners who are experts in conservative management of the skeletal, muscle and nervous systems of the human body. They receive extensive, specialized training in the assessment, diagnosis and treatment of musculoskeletal and nervous system disorders. The primary method of treatment, called an adjustment, involves gentle manipulation of joint misalignments aimed at restoring proper biomechanical function and mobility, which also helps to relieve pain. Our registered massage therapists are trained in the assessment and treatment of soft tissue and joints of the body, as well as the treatment and prevention of injury, pain and physical disorders. Registered massage therapists are effective in treating many deeper structures of the body such as ligaments, joints, fascia, blood vessels and other soft tissues. Foot Reflexology is a systematic procedure of applying pressure to specific points on the feet to cause a response in corresponding parts of the body. Applying pressure to these spots will enhance the body’s ability to reach and maintain homeostasis. 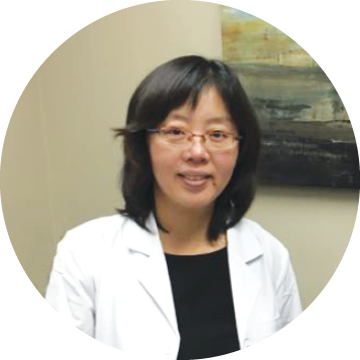 Acupuncture is a form of Traditional Chinese Medicine that has been practiced for thousands of years. Acupuncture involves the insertion of extremely thin, single-use stainless steel needles into the skin at specific points in order to stimulate the body’s natural ability to heal. Traditionally, acupuncture has been used as the primary method of treatment for all health problems, and now many health professionals and patients are using it as an effective treatment for back pain and neck pain. Our skincare program helps repair and maintain your skin using holistic and botanical-based products. By maintaining a balance of oil and moisture content, we can help you attain your skincare goals and achieve a healthy complexion. Our skincare treatments are offered in 30-minute (Express) and 60-minute treatments. 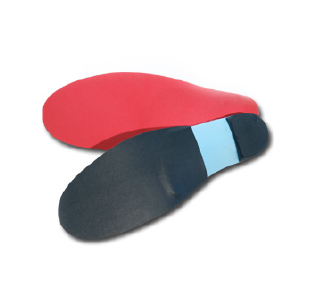 Custom Orthotics are devices that look like insoles to fit in shoes and are designed to correct improper foot biomechanics. They work by realigning the feet into their best position so that the muscles of your feet are able to function properly and more efficiently. They help relieve pain and discomfort by taking the pressure off painful areas that have been aggravated by improper foot biomechanics. Alberta Health Care does not cover Chiropractic, Therapeutic Massage or Acupuncture treatments. However, our clinic is able to direct bill many extended health care insurance companies for these services. Each individual plan has different eligibilities and requirements, thus we are not able to guarantee that your particular insurance plan will cover your treatments. Our clinic does provide treatment to patients with injuries related to a motor vehicle accident. You must first obtain a claim number from your auto insurance company and the name, phone number and fax number and/or email of the Adjustor who will be handling your claim. Once this is in place, one of our Chiropractors will perform an Initial Assessment and prescribe a treatment plan that follows the Alberta Diagnostic and Treatment Protocols Regulation. The subsequent treatments will be directly billed to your auto insurance company. We do not treat injuries related to WCB claims. If your condition is due to an injury that you received while at work, you will be referred to a WCB authorized clinic. The list of authorized providers can be directly obtained from the WCB office. Referrals are not necessary, but a prescription for Massage Therapy from a medical doctor may be required in order to be reimbursed by some extended health care insurance companies.